The co-founders of Physician 360 are both board-certified Emergency Medicine physicians with remarkably different backgrounds. We are also parents, and patients, and understand the importance of keeping your family healthy. Dr. Angela Fusaro, MD, MBA, is an Emergency Medicine physician in Atlanta, GA. She leads a national workshop, Insight to Innovation, that helps other physicians translate clinical insight into marketable products. Dr. Fusaro has extensive leadership experience in organized medicine, serving on the Board of Directors of national organizations, where she drove business improvements and managed strategic changes. Dr. Fusaro has been instrumental in seeking opportunities for Physician 360 to grow its business. She sets strategic goals for the company, ensures resources are properly aligned to achieve them, and monitors performance as compared to competitors. Our Chief Medical Officer, Dr. Rob Lapporte, MD, has been practicing evidence-based clinical medicine in emergency rooms and urgent care centers for almost two decades. Dr. Lapporte's customer service prowess has been instrumental in designing a tool that patients want and is easy to use. Dr. Lapporte's background also includes a medical directorship of one of the most successful free-standing emergency rooms/urgent care centers in the Dallas metropolitan region. 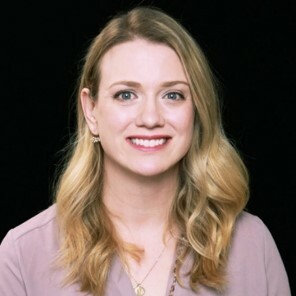 Brooke has worked in multiple facets of the marketing, most recently as a Senior Partner Marketing Manager and Head of Global Strategic Engagement Marketing for Amazon. Previously, she was a Brand Manager of $1B+ multi-product portfolio. She has leveraged all of her experience together to serve as the Marketing Strategist for Physician 360. She is responsible for designing the marketing strategy of the company, and all elements of directs media relations, branding, advertising and digital media development. Jason Yarbrough joins Physician 360 after spending several years building a successful small business in the Oklahoma City area. He brings over 15 years of sales and operations experience in multiple industries, including retail pharmacy. Jason has a passion for connecting customers with products and services that will truly have a profound impact on their business. Jason is responsible for developing strategic partnerships and sales tactics, sets revenue targets for the company and monitors performance metrics year over year.